God met us in Kitui Town and in the surrounding villages this last week! We are amazed at what He did in the Christian Discipleship Classes. Don prepared detailed lesson plans with Scripture references and notes covering 12 basic discipleship topics. Each participant was given a copy of these lesson plans in a bound book when they registered. We felt very strongly that they needed to have these notes to use when they teach the class to others in their church. 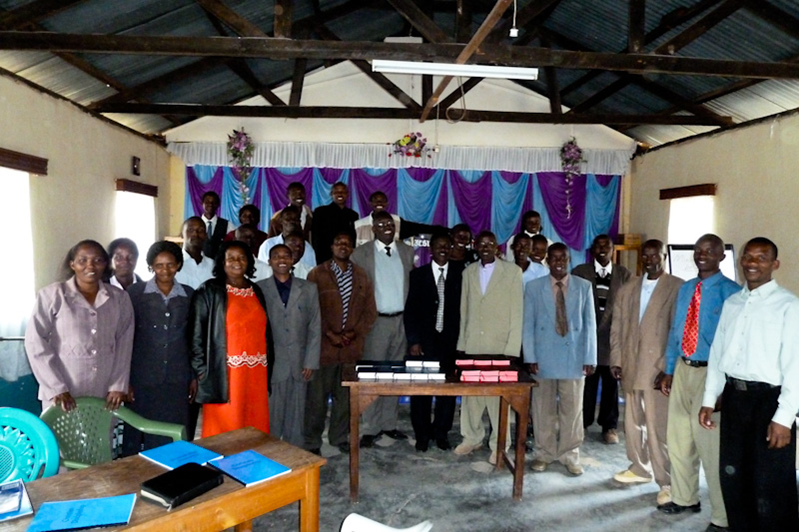 The class was offered to the graduates of Bible School in a Briefcase and two other leaders/teachers from each of their churches. 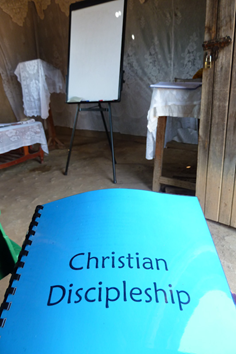 The first Discipleship Class was held Saturday and Sunday in Chuluni, a small village located a few miles from Kitui. Seven BSIB graduates and 26 others attended the class. Upon completing the entire two day course, each participant was given a Bible. We provided the Bibles because we felt we could not train the teachers without equipping them with a Bible. 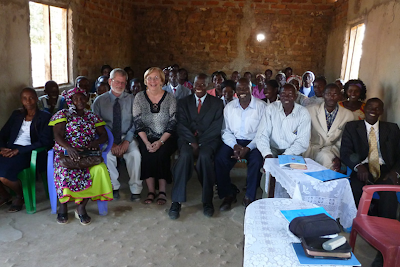 On Monday and Tuesday we held the Discipleship Class in the much larger town of Kitui. Ten BSIB graduates and 17 teachers/church leaders attended. Tuesday afternoon concluded our time of teaching. We were very encouraged by the desire of the pastors and their church leaders to learn and share the training on discipleship. We do want to thank those of you who pray, give and encourage us! There is such a need to teach and encourage the pastors/leaders. It is an honor and privilege to be working here. We do need your help to continue our work. Next time, preaching in Kilonzo and the showing of The Jesus Film in three villages….Check back in a few days to learn what other exciting things God did in and around Kitui! Why do we need to teach such basics? First, all Christians, no matter how long they have been walking with Jesus, can benefit from a refresher. Second, many of those who will be in our class have never been taught. Third, the churches need to be ready to teach new Christians that we hope will come as a result of our showing the Jesus Film outdoors in their village market place. I did not find a single church in our target area that already had a discipleship class in place. So, who are we teaching? We are teaching the teachers. We have 25 people signed up for the first 2 day class and 33 for the second. Each pastor that is working with us has been asked to identify 2 people in their church who can take our class and then be ready to teach it themselves. I have prepared a 46 page book that contains lesson plans for each of the above topics which I will leave with each student/teacher. They can then use these lesson plans for 3 months’ worth of weekly teaching. The churches that we work with are almost exclusively among the very poorest people of Kenya. Many of them can barely afford the staples of the Kenyan diet: corn, chapatti (flat bread), rice and beans. To make it even worse, the area where we are currently working is suffering a severe drought. This is one reason why we are providing food for all our students (at no cost to them) at the noon meal on our class days. Also, many of the student teachers have no Bible of their own. I really think that if someone is to be given the responsibility to teach the Bible, it would be of great benefit if they had their own copy. Therefore, Becky and I have made the commitment that each person that completes our class will receive a brand new Bible in the language of their choice. Our cost for all this, including fuel for our vehicle and generator and our room and board, comes to about (in U.S. currency) $1,500 to $1,600. Quite a bargain! Thank you so much to our friends, prayer team and our financial donors who make this work possible.